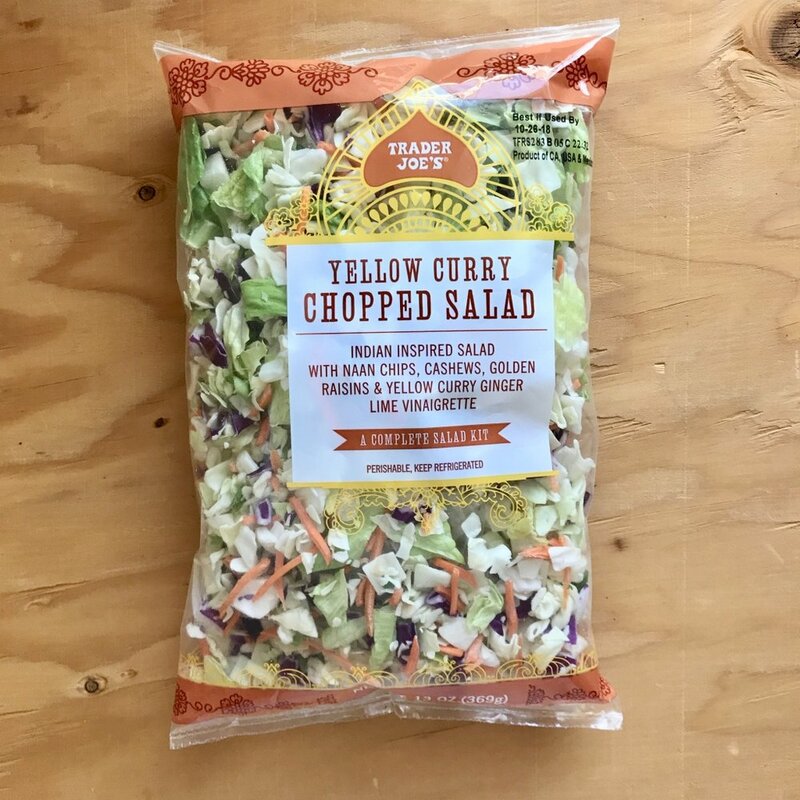 We don't usually grab the salad kits but decided to try this Yellow Curry Chopped Salad at Trader Joe's. The amount of "toppings" provided in this kit are minimal so we liked spicing this up with more delicious toppers. 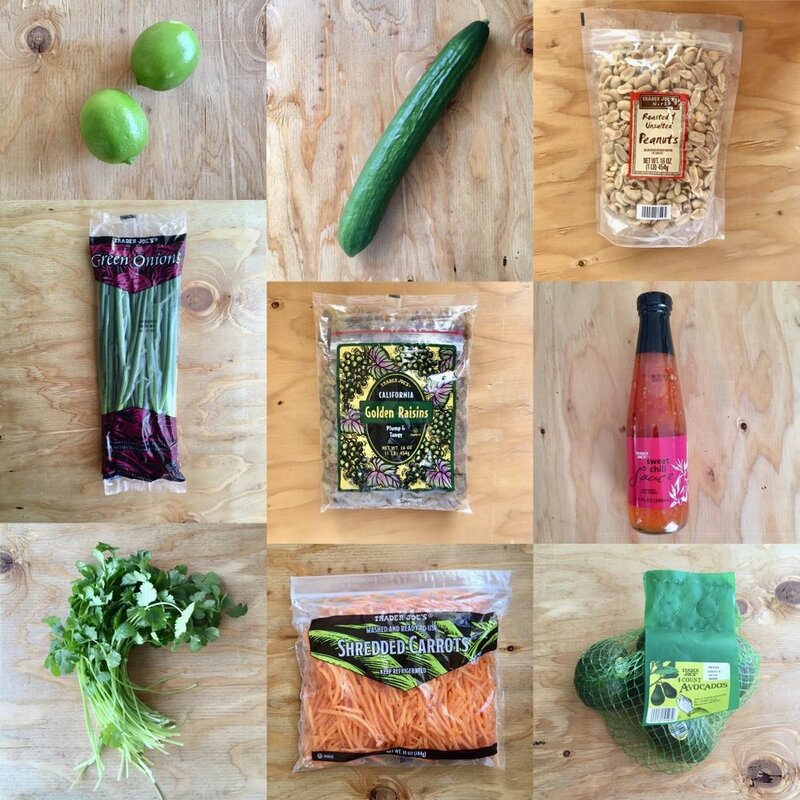 The dressing is quite unique and is a great start to making 2 lunches out of this one bag by adding extra ingredients to the mix and stretching the dressing by adding lime juice and a little chili sauce. 1. Toss Yellow Curry Chopped salad mix into a bowl. Set the dressing aside. As well as setting aside cashew and naan packets (we didn't use this but you can). Add in the next 5 ingredients to your bowl and toss well. 2. In a seperate bowl mix together dressing packet, lime juice, ginger, and chili sauce. 3. Toss entire salad with new dressing or, set on the side to add later onto salads in your work lunch or for dinner.